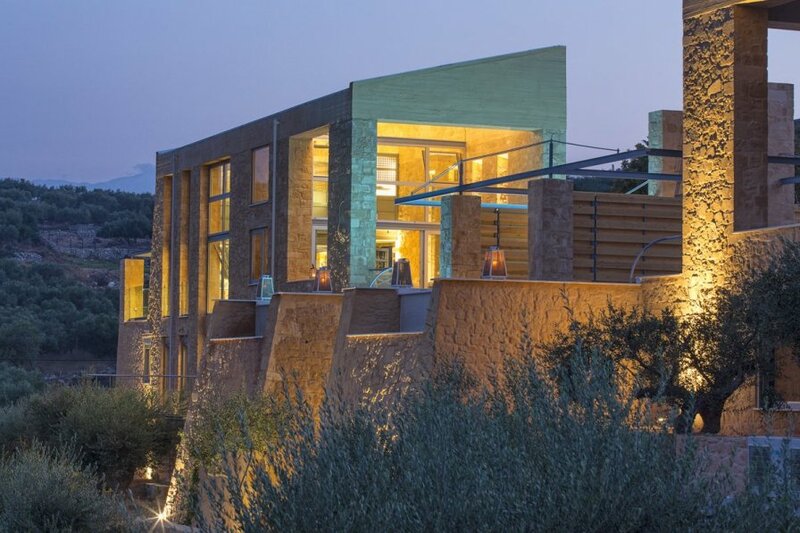 Architecturally designed, Villa Odyssey is one of a pair of villas set high up in the hills in north western Crete. Overlooking beautiful Loutraki Bay. Architecturally designed, Villa Odyssey is one of a pair of villas set high up in the hills in north western Crete. Overlooking beautiful Loutraki Bay, this modern villa with its large windows and extensive internal use of glass, really makes the most of the stunning views. The exposed stone walls and sleek minimalist design make this a villa you'll really remember.